Close your eyes and think of Mary Jane Burgers and Brew. What do you envision? You can now place your order online and pick it up when it’s ready! Visit MO and visit us!! Taking inspiration from our namesake, my grandma Mary Jane, our name helps define the very heart of the Mary Jane Burgers & Brew experience: We are a neighborhood restaurant with delicious, local foods prepared in-house and served with a smile. 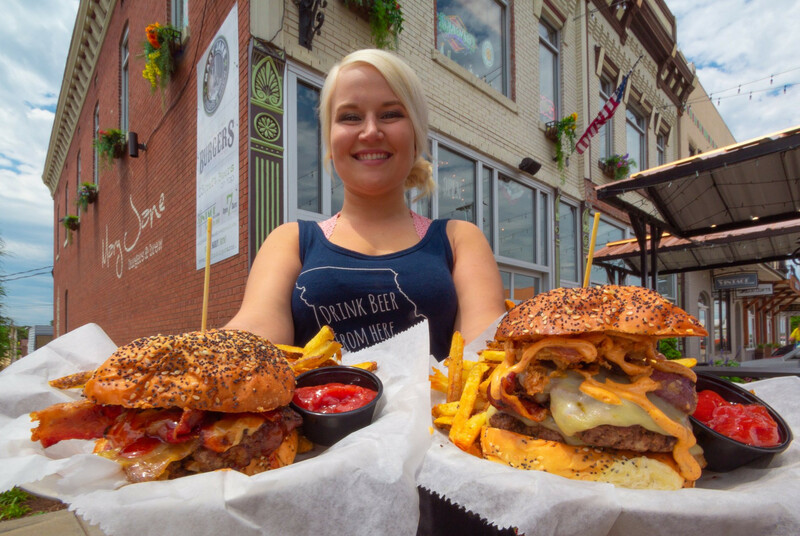 Mary Jane Burgers & Brew is focused on using the freshest ingredients, buying local when possible, and offering a tasty selection of local craft beers, as well as tried-and-true favorites. The Mary Jane Beer Club. Ask your server how to become a member. We pride ourselves on using only the freshest ingredients. Our burgers are prepared fresh daily using Midwest-raised cattle, no gmo’s, no antibiotics and are accompanied with fresh-baked buns. So you say you’re not a joiner. Well, my friend, you just haven’t found the right club! As a wise philosopher once said, “My advice to you is to start drinking heavily,” John Belushi. So maybe it wasn’t the greatest advice in the world but at Mary Jane Burgers & Brew we have an experience that make you a believer! Click here for more information or ask the next time you are in ask your server how to become a member! Want to Know More About our Events?? Sign Up for our Monthly Newsletter HERE!